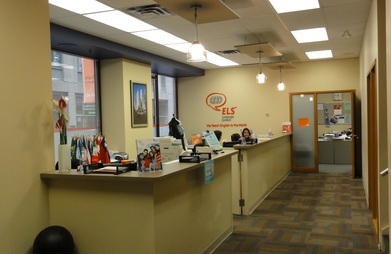 The language school ELS Toronto LAL Partner School was founded in Toronto, Canada in 1997. In 2019 (including national and regional bank holidays): 01.Jan.2019, 18.Feb.2019, 19.Apr.2019, 22.Apr.2019, 20.May.2019, 01.Jul.2019, 05.Aug.2019, 02.Sep.2019, 14.Oct.2019, 11.Nov.2019, 25.Dec.2019, 26.Dec.2019. 2019: 14.Jan.2019, 21.Jan.2019, 28.Jan.2019, 11.Feb.2019, 18.Feb.2019, 25.Feb.2019, 11.Mar.2019, 18.Mar.2019, 25.Mar.2019, 08.Apr.2019, 15.Apr.2019, 22.Apr.2019, 06.May.2019, 13.May.2019, 20.May.2019, 03.Jun.2019, 10.Jun.2019, 17.Jun.2019, 02.Jul.2019, 09.Jul.2019, 16.Jul.2019, 29.Jul.2019, 05.Aug.2019, 12.Aug.2019, 26.Aug.2019, 02.Sep.2019, 09.Sep.2019, 23.Sep.2019, 30.Sep.2019, 07.Oct.2019, 21.Oct.2019, 28.Oct.2019, 04.Nov.2019, 18.Nov.2019, 25.Nov.2019, 02.Dec.2019, 16.Dec.2019, 23.Dec.2019, 30.Dec.2019. 2019: 14.Jan.2019, 11.Feb.2019, 11.Mar.2019, 08.Apr.2019, 06.May.2019, 03.Jun.2019, 02.Jul.2019, 29.Jul.2019. 2019: 14.Jan.2019, 11.Feb.2019, 11.Mar.2019, 08.Apr.2019, 06.May.2019, 03.Jun.2019, 02.Jul.2019, 29.Jul.2019, 26.Aug.2019, 23.Sep.2019, 21.Oct.2019, 18.Nov.2019, 16.Dec.2019. 2019: 14.Jan.2019, 21.Jan.2019, 28.Jan.2019, 11.Feb.2019, 18.Feb.2019, 25.Feb.2019, 11.Mar.2019, 18.Mar.2019, 25.Mar.2019, 08.Apr.2019, 15.Apr.2019, 22.Apr.2019, 06.May.2019, 13.May.2019, 20.May.2019, 03.Jun.2019, 10.Jun.2019, 17.Jun.2019, 02.Jul.2019, 09.Jul.2019, 16.Jul.2019, 29.Jul.2019, 05.Aug.2019, 12.Aug.2019, 26.Aug.2019, 02.Sep.2019, 09.Sep.2019, 23.Sep.2019, 30.Sep.2019, 07.Oct.2019, 21.Oct.2019, 28.Oct.2019, 04.Nov.2019, 18.Nov.2019, 25.Nov.2019, 02.Dec.2019. 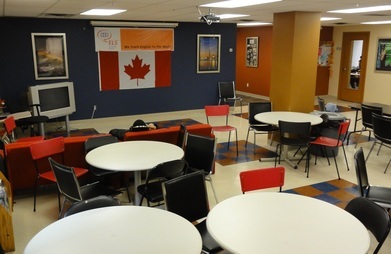 Note: All courses offered by ELS Toronto LAL Partner School can be reserved online with LanguageCourse.Net. In case a course is not listed above, just mention the course description in the comment field of the online registration form. Comments about courses:The centers curriculum is organized into 4-week sessions. For that reason, it is strongly recommend that students make every effort to begin their studies on a regular Start Date and study a minimum of four weeks. These start dates are as follows: 14.01, 11.02, 11.03, 08.04, 06.05, 03.06, 02.07, 29.07, 26.08, 23.09, 21.10, 18.11 and 16.12. That way they will receive a full orientation and complete the full 4-week session. 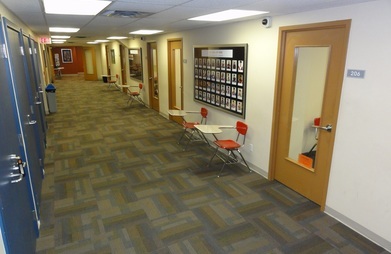 However, this is not always possible, therefore the school will accept students for a minimum of two weeks, and they are able to begin their program on the second or third Monday (Except one block in July with start dates on Tuesdays) of a session. There is a course material and technology charge of CAD 50 per session of study (4 weeks). 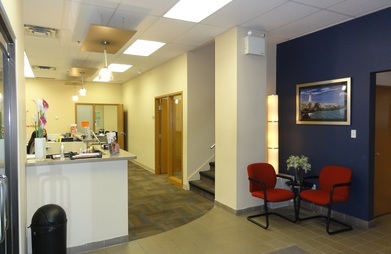 Medical insurance costs CAD 2 per week. Unaccompanied minor fee will cost CAD 150 per child as well as a notarized Guardanship letter supplement of CAD 75 per child. A PDF with a quote for ELS Toronto LAL Partner School is being sent to your email. Keep it for your reference or share it with someone else if you like. Your query has been sent to ELS Toronto LAL Partner School to confirm availability of your chosen course on your requested dates. Request sent to ELS Toronto LAL Partner School.